Instilling Jewish Pride and Identity in the Jewish child of today - the face of Judaism tomorrow. Imagine a Hebrew School where kids don’t want to miss a day! They come in with a smile and leave humming the tune of a Hebrew song. Imagine a child who feels the warmth and spirit of Judaism… and then imagine the pride of his parents! At Chabad Hebrew School, families of all backgrounds feel comfortable and welcome. 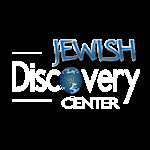 Our school enjoys a well-earned reputation as a trendsetter in creative Jewish education for children ages three to thirteen. Our mission is to offer all Jewish children - regardless of background or affiliation - a Jewish education and memories that will inspire them for a lifetime.